The Human Design System is the Science of Differentiation. It shows each of us that we have a unique design and a specific purpose to fulfill while on Earth. Endless possibilities for individual uniqueness lie within our genetic matrix. There are millions of variations of human beings, yet each of us has a specific and unique Human Design configuration with a clear Strategy that effortlessly aligns us to our uniqueness. Human Design does not ask you to believe anything. It invites you to participate in a potentially life-transforming living experiment, and provides you with the practical tools and information needed to live life as yourself. Without this individualized – and individualizing – living experiment, Human Design is just a complex system of fascinating information to entertain the mind. In looking at thousands of charts, one thing stands out – no two are exactly alike. Even if someone had a chart very much like yours they would not be you. But how do we determine our unique design? As Ra Uru Hu, the Founder of Human Design, has often said, “What you can rely on you’ve never relied on in your life. What you can’t trust you’ve been trying to trust all your life. What you’ve been trusting has never been you. What you’ve been ignoring has always been you. 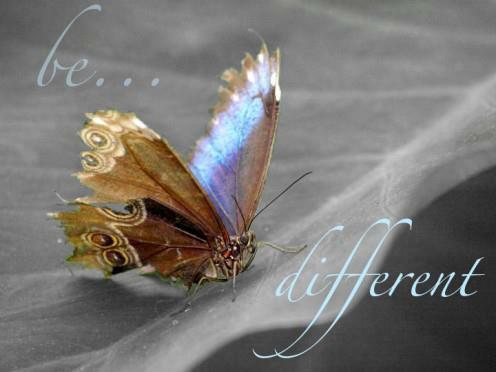 Try to trust what’s really you and see what happens.” Each of us is meant to be different from everyone else. Now we can see and get in touch with those differences. We are here to live our lives and express our truths in our own unique ways. Understanding this can lift a great weight from our shoulders. How often have we compared ourselves to someone else? How often as children were we compared to someone else by a parent, teacher or peer? Comparing ourselves to others creates an impression deep inside of us that it is not okay to be who we are. When we add that to the conditioning of our early years, we find ourselves trying to change or adapt how we act to suit others, which further distances us from the person we were born to be. When we begin to understand and accept our own uniqueness, something inside of us opens up and relaxes. The layers and layers of conditioning slowly fall away, and the person we were meant to be, our inner essence, begins to emerge. « Who Are We Really?